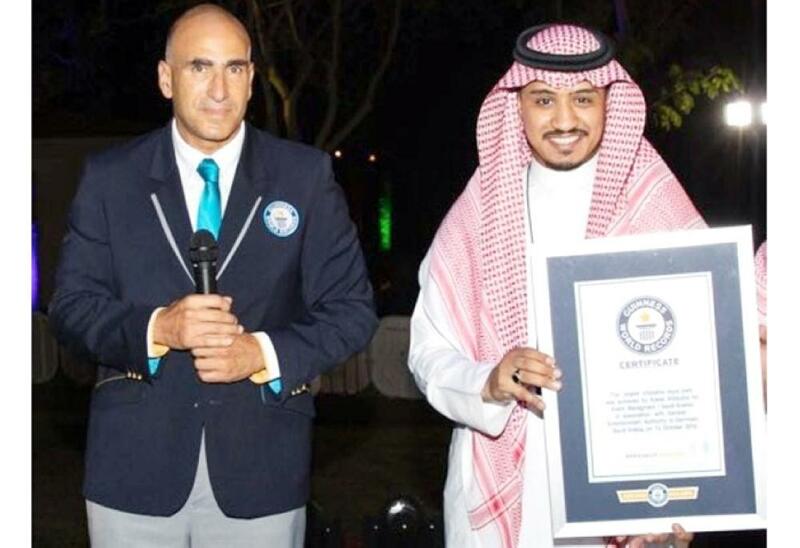 Saudi Arabia continued to collect certificates from the Guinness World Records, this time by setting up the world's largest rubber water park during a Beach event at Sunset Beach Resort in Alkhobar with the support of the General Authority for Entertainment. The giant water park, which was established in the ongoing event from Oct. 11 to Nov. 3, covers an area of 20,536 square meters and includes 75 games suitable for different ages, including labyrinths, ladders, slides, bridges, inflatable towers and a variety of other activities as well as Gulf Cycling, which was attended by 34 contestants under the direct supervision of the Saudi Federation of Marine Sports and Diving. Contestants from the UAE, Kuwait, Oman and Bahrain attended. The event had acrobatic, artistic and entertainment shows and various marine games such as jet skiing, diving, and sand painting as well as beach cinema. 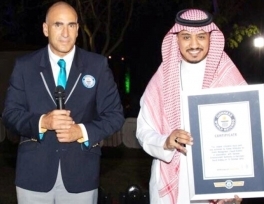 The Sunset Beach Water Park has outstripped what was set up in the Philippine city of Subic, where Guinness World Records had registered the world's largest 3,400 square meter water park.